Pancratium maritimum or sea daffodil (κρινάκι της θάλασσας, κρινάκι της άμμου) (Amaryllidacea family) is one of the most beautiful and abrath taking flowers that one can come across on a beach. Its latin name "maritimum" means actually "of the seashore". You can find it in some beaches but unfortunately it is endanger by the touristic development. One of the ways it multiplies is by its small black seeds that can travel big distances by sea water using the currents. Inside the seeds there is the bulb that can stay 4-5 years until it finds moisture to bloom. The other way is by bulbs. Its roots have an important role in holding the sand as its roots can be up to 1,50m long. I saw those ones on Kaiafa beach in Pelloponese. I would like here to add that this beach used to be very popular especially for free camping but it was burned a few years ago, luckily now it looks as if it's being reborn from its ashes. If you come across this flower have a look at it, take pictures, smell it but leave it there for others to admire. 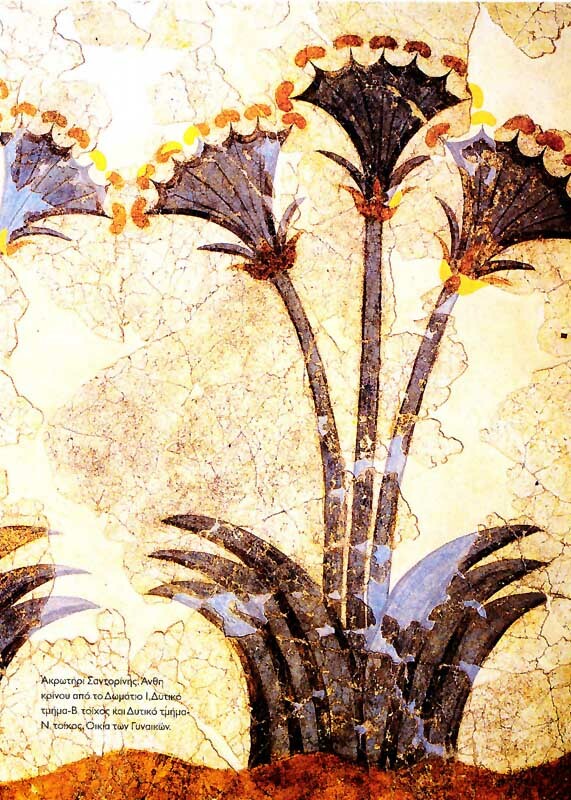 It had been admired since ancient times as it can be seen in murals in Santorini and Knossos. What a beauty you are showing. I hope it's seeds finds enough space to grow. Chciałabym popatrzeć i tylko popatrzeć na taki śliczny kwiat na plaży. Pozdrawiam. *** I would like to look and just look at the pretty flower on the beach. Yours.